Today we want to talk to you about maintenance items you cannot afford to delay. If you’ve been following our page for a while, then you know we’re really big on maintenance. Maintenance, maintenance, maintenance! You want to get ahead of any problems because the last thing you want is a vehicle that won’t get you from point A to point B! Our whole goal is to keep families on the road in a safe vehicle. Obviously, we want you to keep up with all the general maintenance your car needs. If you’re not sure what that is, you can find a list of what needs to be done when in your owner’s manual. But even though we want you to do everything the manufacturer recommends, there are two specific areas that are most important for you to stay on top of. Do whatever you have to do to remember to do these two things—write them on the calendar, set reminders on your phone, whatever it takes! Oil changes are important for two reasons. First of all, it’s vital to make sure that you have enough oil in your car at all times. But on top of that every time you bring your vehicle to us for an oil change we do a 25-point inspection. 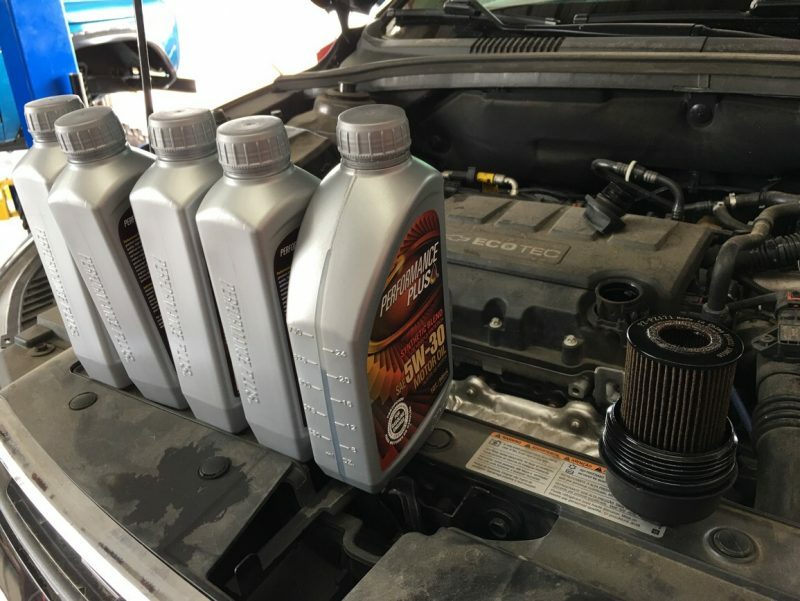 Not only do we change your oil but we look over your car to see if you have any other issues brewing. If you bring your car in here for an oil change every 3000-5,000 miles, that means we are constantly looking over your car to make sure everything is in good shape, or so that we can alert you if something needs attention. We will never pressure you to do anything about what we find. We will never upsell you. But we will make you aware of any issues that we see so that you can decide what to do about it. It’s like a check-up for your vehicle, every time you bring it in! Many people just don’t pay attention to their tires, or they put off tire maintenance. The problem with this is that your tires are what keeps you safely on the road! If you don’t take care of your tires you could have a blowout on the highway, or you could end up siding around when it rains. It’s just not worth the risk to you and your family to drive around on tires that need to be replaced. We know this is easier said than done. If you can, add a little money to your budget each month to keep up with your tires. We also recommend getting a free alignment check to make sure you’re not wearing your tires out too quickly. If you’re going through tires like you’re going through toothpaste, it may be time to make sure your vehicle is aligned properly! So make sure you’re keeping up with all your recommended maintenance. But if nothing else, always make sure you stay on top of your oil changes and your tires!